We offer courses, classes and workshops especially designed for parents. Our ethos is to encourage conscious parenting, to help parents recognise and understand their inner world, their emotions, patterns, feelings and empower them to see the unique, amazing child they are creating – developing strong bonds and building confidence for parents to then establish confidence and empower self-esteem in their children. From our Hypnobirthing courses, our Prenatal Private Treatments and Training for mums and dads, to our Relax Mums classes for Mums with children of all ages, we provide guidance, support and empowering experiences to help everyone within the family unit. All of our classes and workshops are also available on a one-to-one (or two-to-one for mum and dad) basis. We provide telephone/skype sessions too, so we can support you wherever you are. For more information please contact us at info@reikibabies.co.uk. Relax Mums – Natural Healing Group Courses for Prenatal Mums, Mums with Babies and Mums with children of any age. Please visit our Diary of Events page for details of our weekly classes and courses. Please email us at info@reikibabies.co.uk for more information on our treatments and to book your session. ​Uniquely designed to enhance your natural bond with your baby. Connecting with your baby in a very special way. Reiki Babies offers a variety of classes and one-to-one sessions aimed at supporting you throughout your pregnancy and in those early weeks and months once your precious baby has arrived. Pregnancy Reiki Training Courses for Mum and her birthing partner – teaching you how to connect with the Reiki energy and use it to support you throughout your pregnancy and especially during labour too so that childbirth can be positive experience for you. The Reiki Babies Training Courses are designed to teach Reiki so that you can channel this ancient healing technique to your baby as well as to yourself, the sessions focus on building trust in your own intuition, helpful techniques on using the Reiki energy to settle, relax and nurture baby as well as how you can help you through those early, exhausting weeks and months. Reiki is a fantastic tool to ease anxieties, release stress and worries and calm the mind. Reiki can boost the immune system, balance hormones and with regular treatments it can truly transform your life. 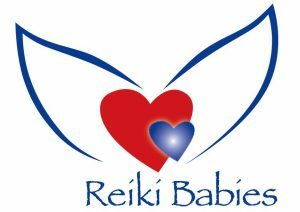 Please contact us at info@reikibabies.co.uk to book your Reiki Babies session. Reiki (pronounced ray-key) is a simple, practical ‘hands on’ healing technique that anyone can learn and use. It’s safe, non-invasive and can soothe physical aches and pains, lift depression, dissolve stress and bring a lasting sense of peace and relaxation. It stimulates the body’s own healing process, boosting the immune system by going straight to the source of any problem in a completely natural and nourishing way, without the need for diagnosis or interference. 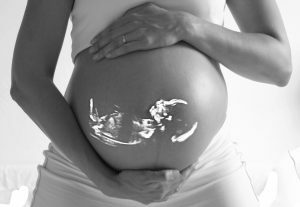 Unborn babies seem to LOVE Reiki and will often follow the practitioner’s hands around during the treatment. Reiki can also ease any physical or emotional tension, like anxiety and tiredness that the mother may be experiencing during the pregnancy. 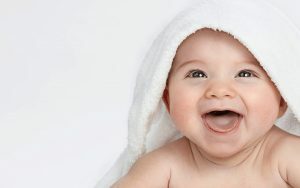 Reiki can help her feel relaxed, more positive, more connected and in touch with her baby. Fathers too can connect with their baby with Reiki. By giving the Mother a healing treatment they are supporting her with healing energy to relieve her aches, tiredness and anxieties as well as enhancing their bond with each other and their unborn child. Reiki is a fantastic tool for coping with childbirth. The healing energy can help relieve the discomfort of contractions, helping the Mother to release tension and fear and open her up physically and emotionally and support her in her ability to focus on the birthing process. Being pregnant, having a baby and becoming a mother is a life-changing experience. Bonding with your baby is not always easy. Your body has experienced massive changes, your hormones are unbalanced and you are coping with sleep deprivation, possibly trying to breast feed your baby and recover from childbirth. If this is your first child you could feel in a state of shock, unsure of your parenting skills and whether you are providing your baby with everything he/she needs. With a variety of mixed guidance and support you may feel more confused than ever and unsure of what is best for you and your baby. By connecting with the Reiki energy you will find it easier to pick up on your own intuition, hearing the right, supportive messages and ease yourself and your baby too. Reiki is a fantastic tool for helping your baby to settle and sleep well; it aids colic, reflux and teething as well as many other ailments and improves your bond with your baby, so you can intuitively know what he needs and when. Here is a meditation that I have recorded for you to listen to and share with your friends and family. Within this meditation is a beautiful healing experience. You can listen to this as often as you wish, enjoy it, share it and I hope it helps make this time with your baby so very special.